Our sage plant is neglected year after year, summer after summer, yet still thrives prolifically. The boys play outside and absentmindedly tear off their soft, heather-like leaves and ask me, “Is this edible?” Yes. Sage is rich in antioxidants, with a long list of health benefits. Sage possesses anti-Alzheimer’s power, in helping to maintain brain’s concentration of the neurochemical acetylcholine. A tree dies. Then, another tree, hidden in its shadows, thrives. So much sorrow visited us this year, that some nights I’m afraid to fall asleep. Easier, sometimes, to stay awake and watch your thoughts, track them, and not let them get too out of control. Sage is used to flavor ale, beer, and wine to make them more intoxicating. 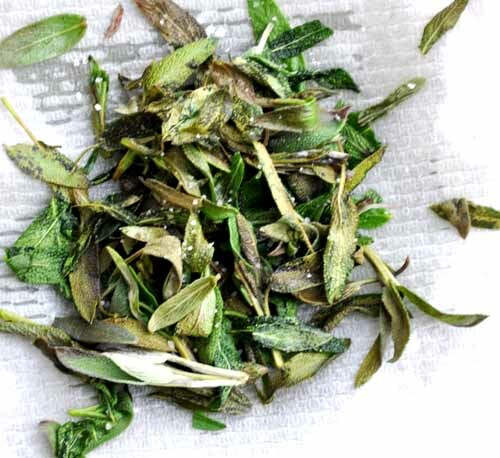 When you bite into a fried sage leaf, there is the crisp bite, the salt of a potato chip, followed by a burst of flavors and smells, that linger after the leaf is gone. 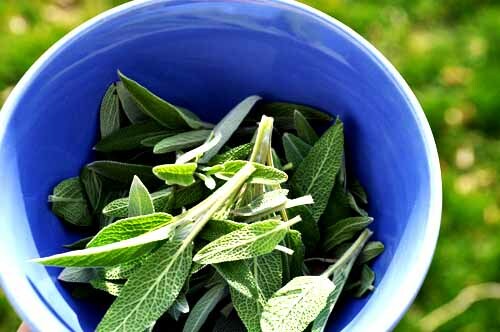 Eating sage creates a sensual experience not found with any other herb. Sage makes you want to fall into the sleep, eat your food, and to start feeling your way through your body again, so that you can be restored. Aromatherapists say Sage purifies, reverses, and clears away negative energies. It allows little trees to thrive in the spot where the big tree died. Rinse sage leaves and lay flat on a double layer of paper towels to dry. Heat oil into a fying pan to a depth of 1/4 inch. When oil is hot, lower heat to medium and add sage leaves in a single layer. Fry just until oil stops bubbling around leaves, 10 to 15 seconds (do not let brown). Remove leaves from oil and let them drain on paper towels. Huh. I had no idea. Maybe I should fry some up for my mom. My sage, rarely used, but beautiful was growing like crazy. I chopped it back early this spring, and keep wondering if I made a mistake. Too bad I didn’t know about frying the leaves before I took my sissor to it……. Interesting! I’ll try it, too! There is another use for sage that I’ve been :told: works, though I have no first-hand experience. 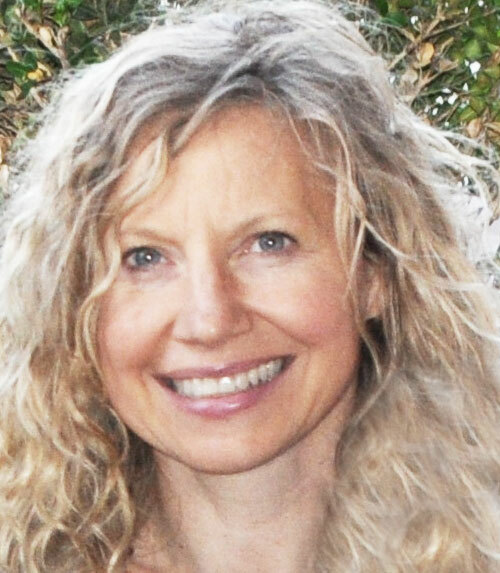 Apparently, if you make a tea out of fresh sage leaves, store it in the refrigerator in a spray bottle, and spritz it onto your hair five minutes before a shampoo (once a day), the gray will gradually fade into the background, and your former natural color will once again become dominant. I want to grow a sage plant just to try this!